Way to go community! We are grateful to these incredible companies, union organizations, government agencies and individuals for their continued financial support, volunteer efforts and advocacy in helping us to build stronger communities and create positive change for all. Labor Community Services: Aloha United Way is grateful for the continued partnership with our labor community. Thanks to their financial support and volunteerism, we have been able to mobilize the power of working people to help build better lives and futures for those in our communities. The Combined Federal Campaign: The Combined Federal Campaign (CFC) is the annual fundraising drive that provides all federal employees with the opportunity to support philanthropy and to improve the quality of life for all. As the world’s largest and most successful annual workplace charity campaign, the CFC has 300 campaigns throughout the country and internationally that helps to raise millions of dollars each year. Donations made by federal employees support eligible nonprofit organizations in health and human service areas. The Hawaii Pacific Area Combined Federal Campaign includes the State of Hawaii, Guam, Northern Marianas and American Samoa. If you would like to give to Aloha United Way through CFC, our designation number is #56123. 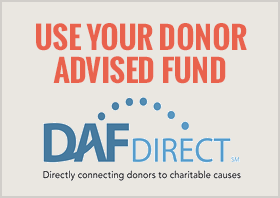 To see a listing of approved Aloha United Way CFC Federation charities, click here: 2018 AUW CFC Federation Charities. To learn more about the Hawaii Pacific Area CFC, please visit www.cfc-hawaii.org. Giving Societies' Board of Directors: Aloha United Way’s Giving Societies are composed of the community’s top leaders in business and philanthropy. The Boards for Society of Young Leaders, Hawaii Cares and Women United share a common passion for creating positive change in our community. We are so grateful for these dedicated individuals and their commitment to supporting Aloha United Way and the people of Hawaii. Click the link to see members of each Giving Society Board.